Also Studio Musician/Composer of 40 years! 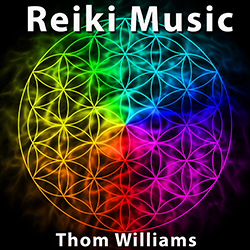 As a Reiki master and an animal Reiki practitioner specialist of 20+ years, each song on this album starts by Thom inviting his Reiki guides for inspiration, guidance and special healing for anyone in need. The same process he uses to prepare for every Reiki session is followed in the creation of each song of the project. In addition to infusing the music with Reiki, the entire creative process - from conception, writing, performance and final production - is guided with positive intent, healing and love for all. You may notice each song has a very different feel which may bring about a variety of healing effects. Upbeat, energetic songs to get you energized, to slower soothing songs to reduce stress, each person and animal will respond differently to the variety of songs. Times of day, moods, emotional and even spiritual events can be helped by the songs. Dr. Stephen Hawking and 27 other major scientist declared animal consciousness is the same as humans, so Reiki music can impact four legged and two legged friends. Humans and animals will react differently to Reiki music in response to the individual’s need for healing, rather than taste in music like most tunes we listen to daily. Thom writes / creates each song improvisationally in the studio with a live take recording. The classic sound on sound method allows each song to have a more natural feel. He plays all the instruments on the album. Each song has a different mood or effect for humans and animals alike. Some songs are easy, natural flowing, to create a sense of calm. Other songs on the album are slightly higher energy, busier, to inspire the mind and body to be more active. Many animals will probably respond differently to the variety songs on the album. They will likely have favorites at different times of day or moods they are in, just like humans. In this case it has more to do with their healing needs than perhaps their tastes changing in the music over time like we humans tend to do with music. Just like humans you can create playlists for your pets when you see the desired affects you are wanting for certain times of day or situations like training, crating, healing, etc. Order your Reiki Music on iTunes , Google Play, Rhapsody, Amazon or your favorite E-Retailer- coming November 13, 2015! Humans are after all animals too, so there is no reason why the songs can’t be used for both four legged and two legged beings! By offering our animals the Benefits of Reiki Music, we give something back to our pets for all the healing, unconditional love and laughter they offer us. 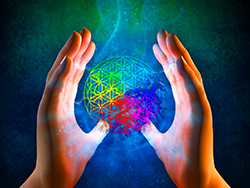 Our Reiki Music is gentle, safe, specificality designed for anyone in need of healing. Also known as energy healing, it has principles and symbols embedded during its creation that automatically set the healing intent as positive, and does not rely on any type of belief system or particular religion to allow it work for you and your pets. Animals are very open to the distance healing energy of Reiki, and many animals/pets give Reiki to their owners on a daily basis. Using Reiki for pets, no matter what types of prescribed drugs or therapies and any other programs your pet may be on, Reiki can work side-by-side naturally with anything your vet or other pet care professionals may be utilizing. Schedule an animal communication and / or animal Reiki healing session to help your pet family today! Sessions available anywhere in the world, your pets never have to leave the comfort of your home! See your high quality web site listed here - submit your pet site! Professionally trained animal communication can let you and your pets express what ever is on your minds, solving pet behavior issues, helping health, end of life and pet loss grief issues. We work with any species & breed of animal with convenient sessions from our office to the comfort of your home or anywhere you need. Schedule an animal communication and animal Reiki healing session right through our web site! Thom and Jonquil Williams, professionally trained animal communicators and combined 32+ years Reiki experience, allowing pets with a gender preference a choice and team approach. We're here to help support your pet family's wellness.